It’s one of the most worst things that data in a computer is lost. The relevant statistics shows that 22% incidents were caused by viruses and malwares, while 78% incidents were caused by computer hardware, software malfunction, other man-made & natural disasters. If installed anti-virus software could only protect about 20% data security, why not make a copy of your Windows system, hard disk or at least those important documents and files to another safe location, and once the distress happens, there is a way to get all those documents back. It’s the reason that more and more people are keeping an eye on data backup. It’s not a brand-new words for experienced users. There are all kinds of backup software in the competitive market. Here we will introduce AOMEI Backupper. AOMEI Backupper Standard provides the powerful method and features to make a backup of your data including Windows operating system and applications on personal computer. It serves for only Windows systems, which are included all the 32/64 bit editions in Windows XP, Windows Vista, Windows7,8/8.1 and Windows 10. You need to install and setup AOMEI Backupper on your computer firstly. It’s easy to use comes with simplicity user interface. There are five guides on the main dashboard. The Home tab is backup management, and it shows all the backup you created. You can have a clear understanding with all the backups. The second tab is Backup. You can click to create a backup according to your needs, five methods are included, they are backup Windows and create an image of system partition, backup hard disks to an image file, backup partitions to an image file, backup files & folders to image file and backup folders by file sync. You can set up scheduled backup plan with incremental & differential backup to save your backup storage. All the backup images you have created will be listed on the Restore interface. You can choose the check the backup type through system restore and universal restore, the the image created date. Click the one you need to restore with the guidance, there are just few clicks. 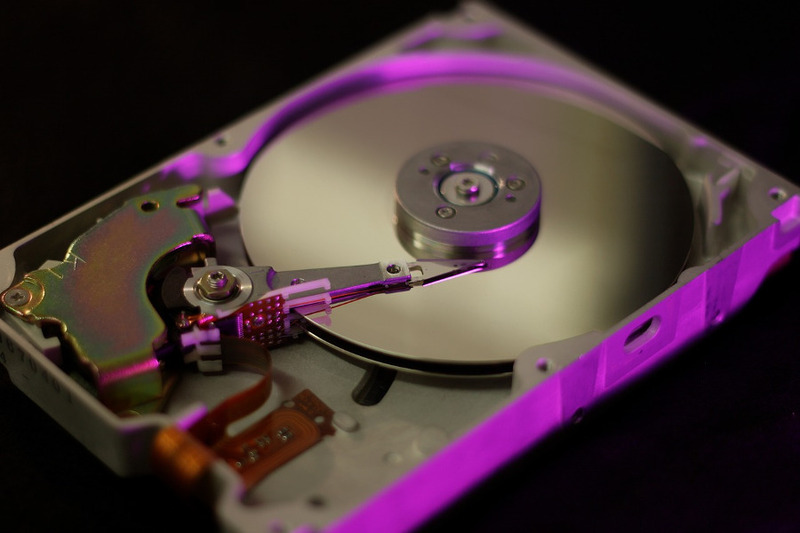 As most of us may know, the drive cloning is one of the most effective way to keep a backup data safe. AOMEI Backupper also provides those kinds of features. 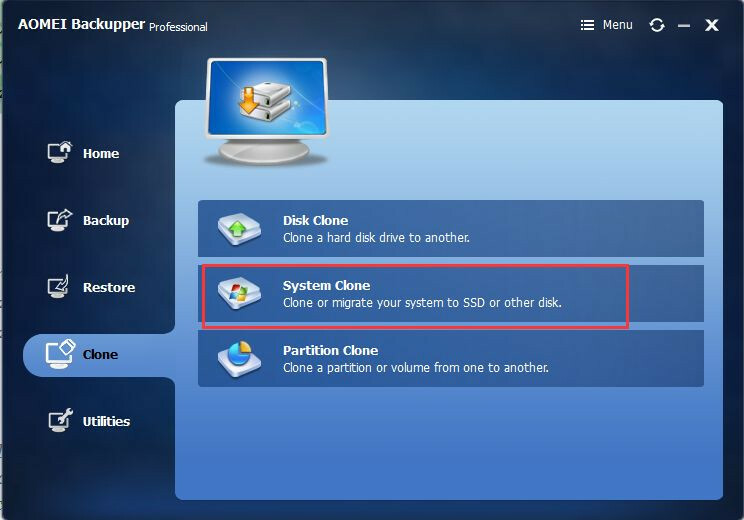 You can use disk clone and partition clone free if you download the free version, and system clone only be included in the paid version. The program let you to set a password for each backup image to protect from unauthorized access. It has an industry leading compression algorithm to shrink your backups to taking up the smallest disk space. All the backup images could be exported and imported new backup images to manage your task. All the detailed operation records could be checked in the program and if there are any problem, you can find the exact problem quickly and solve it safely. The working theory for exploring the backup image is that to place a backup image on a virtual partition without take too much storage on your hard drive and then you can check the backup image whether in a complete state. It makes sure that you can restore the backup image successfully. The intelligent backup feature could let you to make a backup of those only used sectors in a hard drive. It reduces the size of the backup file to some extent. 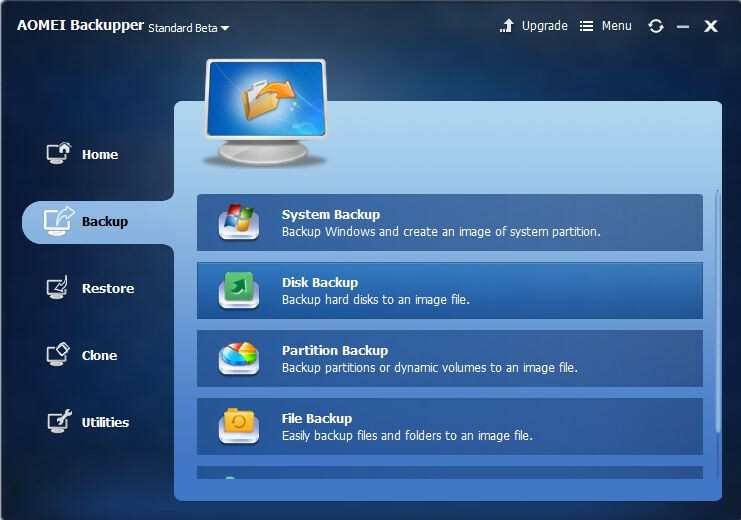 AOMEI Backupper Standard is an excellent free backup software to protect your Windows system and data. It indeed provides an easier and more safe way to do backup. AOMEI Backupper Professional has more powerful features comparing with the Standard edition. AOMEI Backupper Professional not only covers all the features of AOMEI Backupper Standard, but also owns the following advanced features. Transfer Windows operating system from hard drive disk to solid state drive, or from SSD to HDD, HDD to HDD, so that you can move all the Windows data and programs without reinstalling again. It’s the one of most common method to upgrade to a larger new hard disk or to gain a faster running speed for better performance. This feature usually used to restore the system to a machine with dissimilar hardware if you didn’t make a system backup when the computer crashed suddenly. This function could let you to handle your hard drive storage if there are too many backup image files have been created with AOMEI Backupper. With this feature scheduled, AOMEI Backupper could delete the old backup images files once it runs. Perform backup, restore and clone operations from command prompt or by creating BAT scripts. Previous articleNikon D750 vs Nikon D810: Which Full Frame DSLR You Should Buy? Next articleNikon D500 vs Nikon D750. Which One You Should Buy?